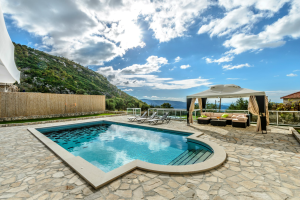 This beautiful five bedroomed villa is situated just 5km east of Dubrovnik in the village of Mlini with wonderful grounds, pool & within easy reach of Mlini Bay. "We all had a lovely holiday thank you - The villa was splendid"
This double property is made up of two lovingly restored, terraced villas, sitting side by side, each with a garden and pool. Villa Apartments Cavtat is a beautifully presented villa situated in the pretty bay of Cavtat, just 20 minutes drive from the spectacular medieval Town of Dubrovnik. Villa Alma is a newly renovated very well appointed stone villa in the peaceful village of Mocici in beautiful Konavle - once a well kept secret it’s fast becoming the favourite destination – close enough to the coast and the hustle of Dubrovnik, but far enough away from the usual tourist routes, it has it all with stunning scenery & some of the best restaurants! Villa Lucia is a two hundred year old family home situated in the village of Popovici, in the area known as Konalve, often likened to Provence. "We thought the Villa was wonderful, it was incredibly spacious.."
Villa Jasmine is a stunning, bright and spacious 3 bedroom villa situated in a commanding location in the region of Konavle about 30 minutes drive south of Dubrovnik - it has a sophisticated decor with the quality furnishings imported directly from Italy. Villa Larul is a late 16th century renovated house, with beautiful garden, pool, games room and badminton court for family fun. Tucked away, just a short drive from the sea at Rovinj (8km), Villa Casamont is a lovely, recently renovated, 5 bedroom, well appointed property. Villa Davina offers spacious living in and out, with its grounds with a pool and terraces that blend perfectly with the natural environment, yet situated just few kilometers from the beach. 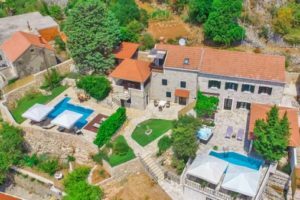 Villa Pia is a traditional stone villa set in the hills of Konalve giving it the most stunning views of mountains and sea - an amazing base for a family with lovely Cavtat just 17km away, & Konalve's vineyards and riverside restaurants on the doorstep. Villa Nino is set in a beautiful area of tall cypress trees, wonderful old villages, lovely scenery & stunning beaches - team this with lots of action packed and cultural activities & it's a winner for all! Villa Anteros is the perfect opportunity for relaxing on the pool terrace, or for using up the energy left over after sight seeing with a spot of swimming, table tennis or billiards followed up with cooking up a storm on the BBQ! 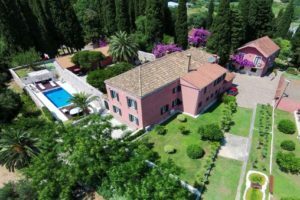 Villa Tonca lies a little outside the peaceful little village of Mocici, offering accommodation for a relaxing holiday with absolute privacy, yet with easy reach of a beach and all the sight seeing you could wish for. This little gem is one of our recent discoveries and is the perfect base for a group of friends or family wishing to escape the daily grind. Set in the beautiful Konalve countryside surrounded by vineyards and olive farms is a beautifully renovated three bedroom villa with private pool. This lovely villa is set in the stunning vista of the Konalve hills, views to die for and has a beautiful private pool to relax by. Villa Doni sits just above the old town of Dubrovnik in a pretty and typical Croatian village - it’s close to a restaurant, and the new cable car that takes you right down to the entrance of the Old Town (just a 20 minute walk or 10 minutes in the car)! Recently refurbished to a high standard delightful Villa Angelo is tucked away in a sleepy village just a short drive from beautiful Porec (11km) - it's a great location to explore other beautiful medieval hilltop towns like Groznjan, Zavrsje, Orptalj, Motovun and Momjan. Villa Vincelo is tucked away just a short drive from the sea at Rovinj (6km) - a lovely 5 bedroom property with lots of room for a large family or group of friends. Recently refurbished to a high standard delightful Villa Amanda is tucked away in a sleepy village just a short drive from beautiful Porec (19km). Sometimes you want a bit more from your holiday - perhaps for a special occasion or extended family get together. We know that these best holidays in Croatia can take a bit more organising and we are on hand to help you do that starting with recommending.